Mid July and August are often very quiet times for us in ministry. However it is at these quieter times that we begin to look more to the future and ask God to lead us towards new ministry opportunities. One idea we have had is to begin a Bible study group for college age students in Gyor. We are currently planning on a small group of 10-14 people meeting in our home on a weekly basis to study the Bible, have fellowship, disciple and mentor. 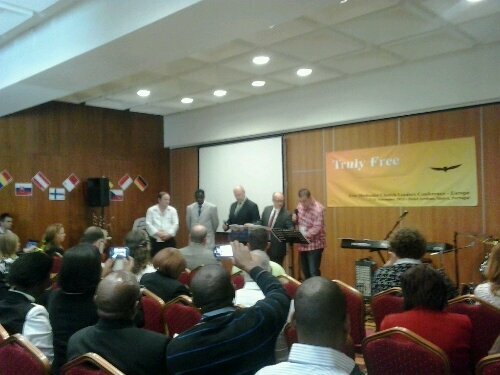 Under the leadership of Gerry, Zsuzsi and Zsolti we have great hopes for where the Lord is leading us! The weekly meetings will be held in Hungarian, will focus on subjects relevant to college age students and we hope to delve deeply into questions that they need answers too. With a focus on modern worship music, coffee, sandwiches and snacks we hope it will be a place where these young men and women are refreshed both physically and spiritually. Please pray for us as we continue to plan these weekly studies. I would like to announce that I have published a book. 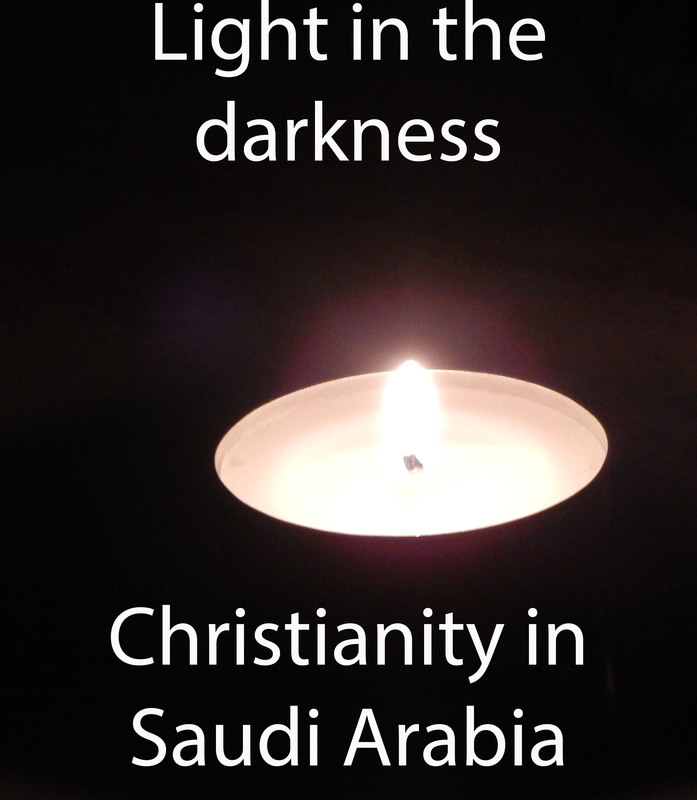 ‘Light in the Darkness: Christianity in Saudi Arabia’ is my first attempt at writing. It is a record of my year of ministry whilst there. Obviously I don’t give any real names of people, but I hope it will give Christians a much better understanding of what the persecuted church is undergoing in the Middle East. I’m very grateful to those of you who partnered with us in prayer during my time there. Twenty percent of any profits will be given to the persecuted church. As of yet there is no print copy available but I hope that in the near future physical copies will be available for sale. I’ll update you when this happens. If you would like to purchase a copy, you can do do on any of the Amazon websites. The book is available for Kindle, Android and PC. I’d be happy to hear your comments! The coming weeks certainly look very busy indeed as I have a fairly full speaking schedule. I will be speaking in three different countries and presenting about the work in Hungary and in the Middle-East. I’m looking forward to meeting old friends and making some new ones! I hope I will be able to see you on one of these occasions. If we haven’t met yet, please do come up after the presentation and say hi. Below are the dates and I will update this post if any other dates come along. If your church, Bible study group, cell group etc would be interested in having me visit then please do contact me as soon as possible. I still have some free dates for Ireland, USA and of course Hungary and the surrounding area. July 18th and 19th: Batavia, NY, USA – Northgate Free Methodist Church (July 18th at 6pm. July 19th at 0930 and 1100). July 27th – 31st: Galion, OH, USA – Vocational Bible School at Gracepoint, Galion. Part of ministering in a country where being a practicing Christian is illegal means being part of the underground church. What is the underground church? What does it mean? Where do they meet? 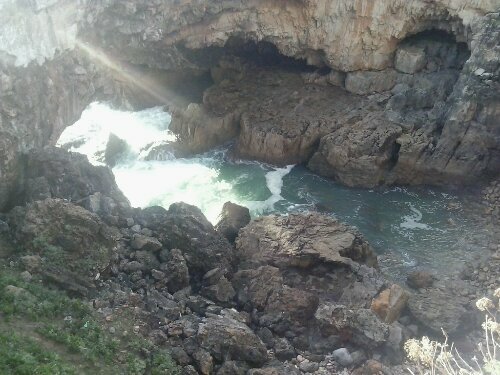 Who goes there and when? Again I can’t go into very specific details as I need to protect those still there and on the off chance that my post is read by an enemy of the church, I don’t want them to gain any information they could use against believers. First of all the church is the body of Christ. That means that each individual Christian is a member of the body. When the church is underground it is not immediately visible as it is hidden from the eyes of the agents of the government and the Enemy. It has no billboard outside with a name and service times. There is no church website with a photo of a smiling pastor. The underground church may meet in a home, in the basement of a building, out in the dessert or anywhere that believers can come together in safety. Meetings can be held at any time of the day or night and on any day of the week. However the weekend in the Middle East is Friday and Saturday and therefore the main worship meeting will often (but not always) happen sometime over the weekend. Meetings are often not open to everyone. Sadly ex-patriots and locals often do not worship together. A ‘bounty’ of about $1300 is offered by the government for information leading to the arrest of Christians who practice their faith and the government particularly targets those Christians who openly speak of their faith. Due to this, many ex-patriots have a deep distrust of allowing locals into their worship services, prayer meetings and Bible studies. Spies will infiltrate the church to then give in names of key leaders and times and places of meeting. Security is a key word for all concerned. Why be so concerned you might ask? Sadly the punishment for meeting to worship the living and almighty God is possible imprisonment, lashes and deportation. 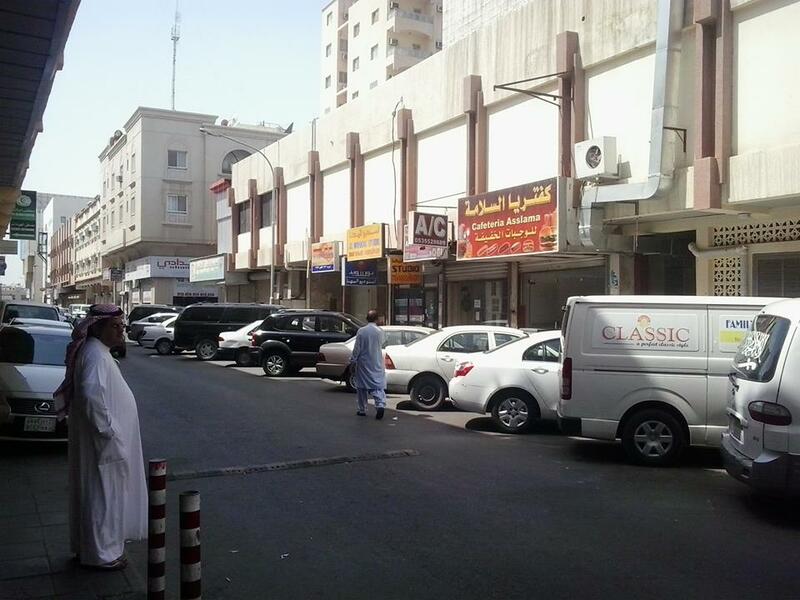 The punishment for smuggling in Arabic language Bibles may even be as severe as beheading. Yet the church is exploding! I know of one street alone where three (3) churches meet! I have preached in front of 150 people! I have even heard of a meeting of thousands of believers together at one time! 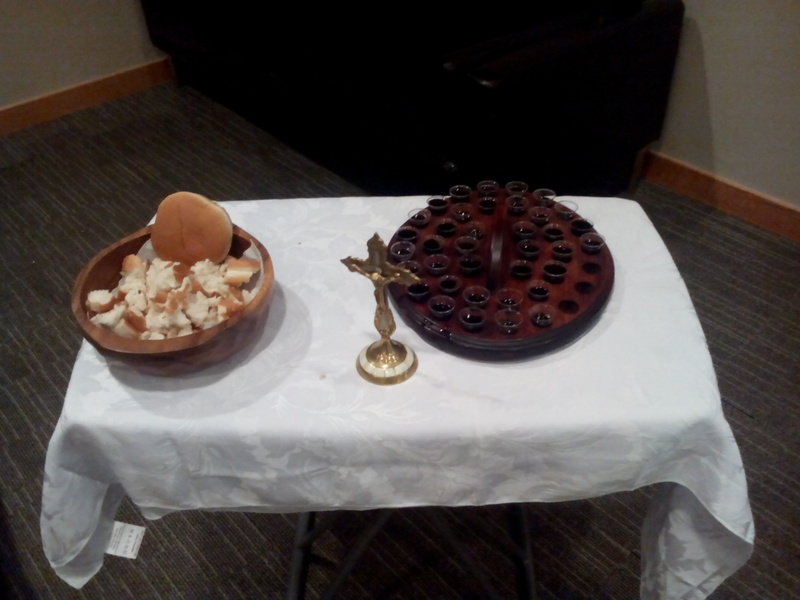 We celebrated the Lord’s supper together every month! Worship is so Holy Spirit filled! God has raised up men and women who are gifted preachers and prayer warriors! God honours His people by blessing his Kingdom work. Please join with me in prayer for couples like I and S and D and A who love Christ, who love His people and want to see the Kingdom of God built up in the Middle East. Please pray for brother J who has been arrested and released and still continues the work of the Lord. Back home – Thank you Lord! Update December 1st 2015: The work in the Middle East goes from strength to strength. The Lord is blessing this work and now a total of seven groups are in operation (with over 200 people in fellowship). Please be in prayer for these faithful followers of Christ as they continue to reach out to the lost and needy. Please pray particularly for those leading the groups. Pray that those who wish them harm would be thwarted in their attempts and that the Gospel would continue to spread. Thank you! As many of you know I have not been in Hungary very much this past year. I had the opportunity to go and serve the Lord in an Islamic country in the Middle East that is entirely closed (officially at least) to the Gospel message. It was a real challenge to spend so much time away from my family and I missed them dearly, yet the Lord blessed us greatly in so many ways. 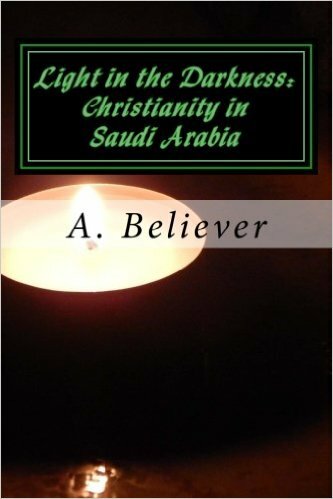 I still need to be cautious about what I write in relation to the ministry in that country as I am worried for the believers who are there. Christians being arrested and thrown into jail for meeting together is commonplace. So I will not name the country here nor will I give details of names or times and dates. I left Hungary over one year ago. I worked in a secular position and this allowed me to be involved in several Christian groups. The different groups met on a regular basis for worship, Bible study, fellowship and the breaking of bread. The incredible presence of the Holy Spirit as we worshiped was just amazing! Being a pastor was my main calling and I worked alongside some truly great men and women of God. I preached, counseled the lonely and depressed, reached out to the lost, encouraged the brothers and sisters and smuggled in Bibles and Christian literature. I had some tough discussions and presented the Gospel message to people who only know Christ from the Qur’an. At times I was concerned as I knew I could be imprisoned for smuggling in Bibles (in Arabic) or for witnessing. Yet Christ gave me many opportunities to reach Muslims (often several times a day) and I presented the Gospel message in a clear and easy to understand manner. I apologize for not writing more at this time but my mind is overwhelmed. I returned to Hungary late last night and am praying for the Lord to continue to lead us and show us the way into the future. Your prayers and support are greatly appreciated and if you would like more details or have any questions then please feel free to contact me. I will write again on this topic so keep an eye on our blog for more information. 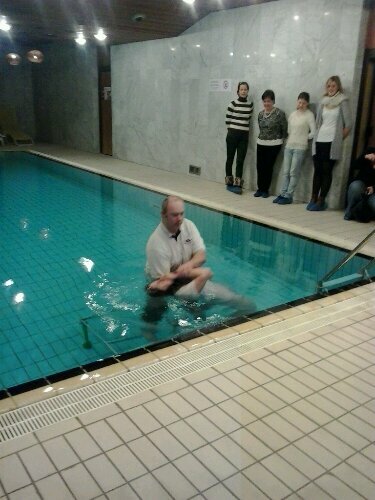 This evening we celebrated two baptisms. Our daughter Zsuzsi, and Alan, the son of our good friends, Timo and Yoli Nakari, both made a public commitment to Christ. It was particularly meaningful to me as I got to baptize them both! A group of about fifty to sixty people were present and for some it may have been the first time they heard the Gospel. This was a coming together of various fellowship groups and Christians from many denominations, all united in their mutual love of Christ. Larry and Melinda Ewing, main leaders of the Friday night youth group organized the evening wonderfully! Please pray for both Alan and Zsuzsi as they walk with the Lord and strive to know Him in a deeper way. Also please pray for the people who heard the good news tonight so that they would make a decision to follow Christ. Service comes in many forms. For me over the coming weeks it will include helping two Christian leaders improve their English language skills. Péter and Ildikó are amazing people who love the Lord and desire to serve Him. Both have undergone significant biblical and practical studies and are currently serving in Budapest. As I am in Budapest for a month to study I wanted to find a way to help our church here. Helping these two leaders improve their English means they can witness for the Lord to English speakers and be more effective in raising support for their work from English speaking countries. 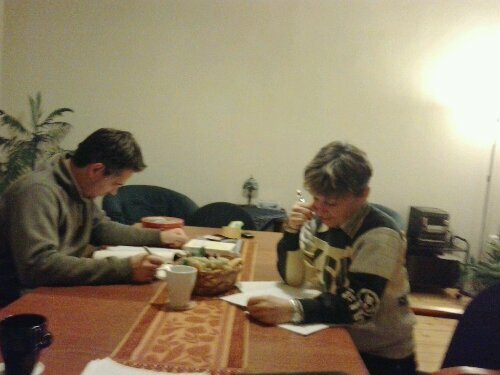 Please pray for Péter and Ildikó as they improve their English and serve Christ. On Wednesday, Katica and I flew to Lisbon, Portugal for a Christian conference. We were blessed to stay at a hotel in Sintra, right on the beach where we enjoyed excellent food, teaching and the wonderful ocean view! 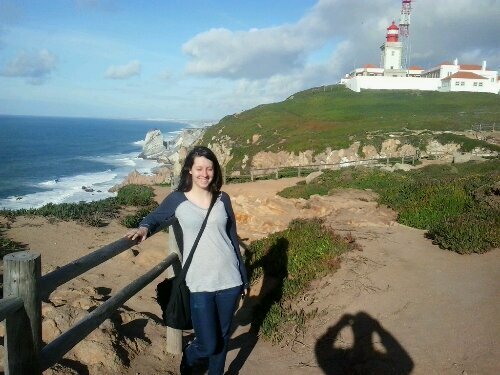 With visits to the western-most point of Europe, Hell’s mouth and Lisbon we enjoyed this beautiful country. However the highlight of the weekend was the opportunity I had to present at a workshop and to be involved in the ordination of two men from Holland. Please pray with me that these men would bring the Gospel to the people of Holland faithfully and that they would be blessed in their ministry!